In two weeks time (June 25th), Fiona Apple will be releasing her new album, The Idler Wheel is wiser than the Driver of the Screw, and Whipping Cords will serve you more than Ropes will ever do, and to get you all excited NPR are currently streaming the album in its entirety. 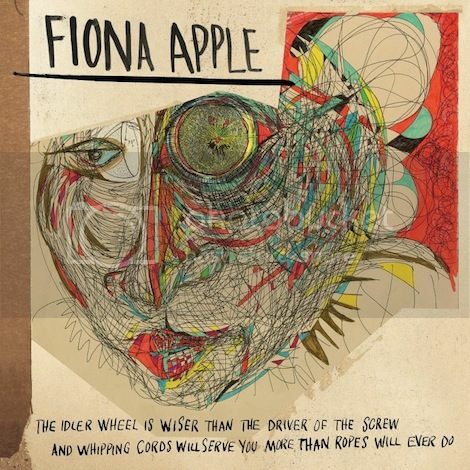 In two weeks time (June 25th) Fiona Apple will be releasing her new album, The Idler Wheel is wiser than the Driver of the Screw, and Whipping Cords will serve you more than Ropes will ever do, and to get you all excited NPR are currently streaming the album in its entirety. We've already heard the likes of 'Werewolf' and 'Valentine', so this should make for a pretty interesting listen.